What is it with Monaco? Really, there are so many reasons to dislike Grands Prix there. It is an anachronism: the modern F1 car outgrew the torturous course not so much years but decades ago (Nelson Piquet once likened driving there to riding a motor cycle in your front room) while overtaking is a near impossibility. It would for various reasons all be laughed out of town if proposed from scratch today. Clive James once noted dryly that 'it is said these days with increasing frequency that Monaco makes a nice change from Grand Prix racing'. Furthermore, the wealth on show is ostentatious, and the poseur occupants of the yachts in the harbour in all probability have little interest in the sport in the rest of the year. On the face of it, there seems very little to look forward to about F1's annual visit to the principality. But we do look forward to it. And to the point that it is (genuinely) hard to imagine F1 without it. Monaco has an intangible quality that ensures it is this sport's Blue Riband event, the sort that just about every sport, and not just motor sport, has. Just as tennis has Wimbledon, golf has the Masters, and Indycars has the Indianapolis 500 (and I could go on), F1 has Monaco, the event most commonly associated with the activity. And American racing did its best to demonstrate the importance of this sort of thing after Champ Cars split from the Indianapolis 500 in 1996 and took most of the teams and drivers with it; for all the virtues of the championship it never managed to overcome it not having the big draw and had eventually to return somewhat with its tail between its legs. So why is Monaco afforded such status? It's a good question. Part of it no doubt is related to the race's heritage. 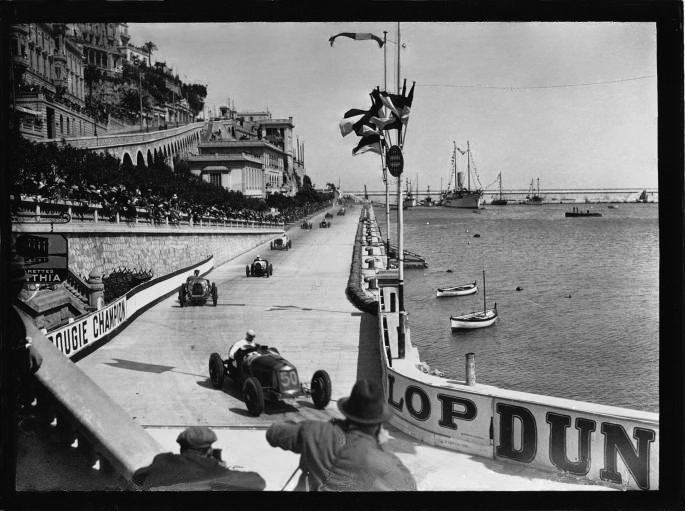 The first Grand Prix around the principality was held all the way back in 1929, and the layout of streets that cars race around today isn't much different. All of the sport's greats have graced the place. Part of it also is that watching racing cars around Monaco is an enchanting experience. The backdrop is one of the very most iconic and beautiful of any sporting event, let alone in motor sport. Wherever you turn in Monaco when the racing is on it seems you see something eye-catching. And despite having the lowest average speed of the entire F1 calendar, nowhere else do you get a stronger impression of speed as the cars flash through the narrow gaps between the barriers. Further, almost all of F1's greatest drivers can point to an occasion racing around the principality streets in which they transcended their machinery. 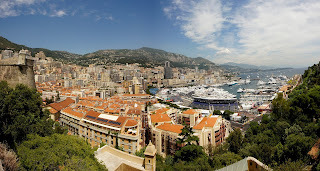 Nowhere other than Monaco do you get a stronger concept of what the F1 driver is personally contributing, nowhere else can the driver make more of a difference to their lap time over and above what their car offers, nowhere else are mistakes punished as swiftly and brutally. It's not for nothing that drivers cherish a win at Monaco far over and above wins just about anywhere else. Not coincidentally the list of Monaco Grand Prix winners reads a lot like a who's who of F1 history. 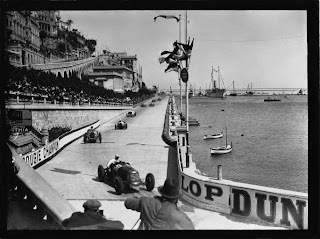 Additionally, while we may instinctively associate races here with a scarcity of overtaking, things happen at Monaco; the Grand Prix here has an uncanny knack of attracting drama and incident. Throughout history many such examples have gone into folklore, such as Stirling Moss in the outdated Lotus 18 staying clear of the more powerful Ferraris for the entire distance in 1961; Jochen Rindt's scarcely plausible chase down of Jack Brabham in 1970 which culminated with the equally implausible sight of Black Jack binning it on the final corner of the final lap, giving the win to Rindt; the extraordinary late laps in 1982 where a succession of leading cars faltered and the likely winner changed continuously like the display of a fruit machine; Ayrton Senna's celebrated 'star is born' drive in the Toleman in the 1984 rains; Nigel Mansell's desperate but ultimately futile attempts to usurp Senna in 1992; and Olivier Panis's win from 14th on the grid in 1996, possibly the biggest shock win in F1 history. And there are a multitude more that could be mentioned. And there are reasons to think that this weekend's Monaco race could be another that goes into the memory. If nothing else, there are all sorts for the contenders to think about. And not the least of these are two cars that go by the name of Mercedes. Pole position counts for a lot at the principality; as mentioned overtaking around the track is as rare as hen's teeth. And the assumption is that the Mercs have the front row taped. A silver car has been on pole in each of the last three rounds (and possibly it would have been four had it not rained in Malaysia's qualifying hour), and it was the quickest by a distance in Barcelona's final sector in qualifying, usually the barometer of who'll go well at Monaco. 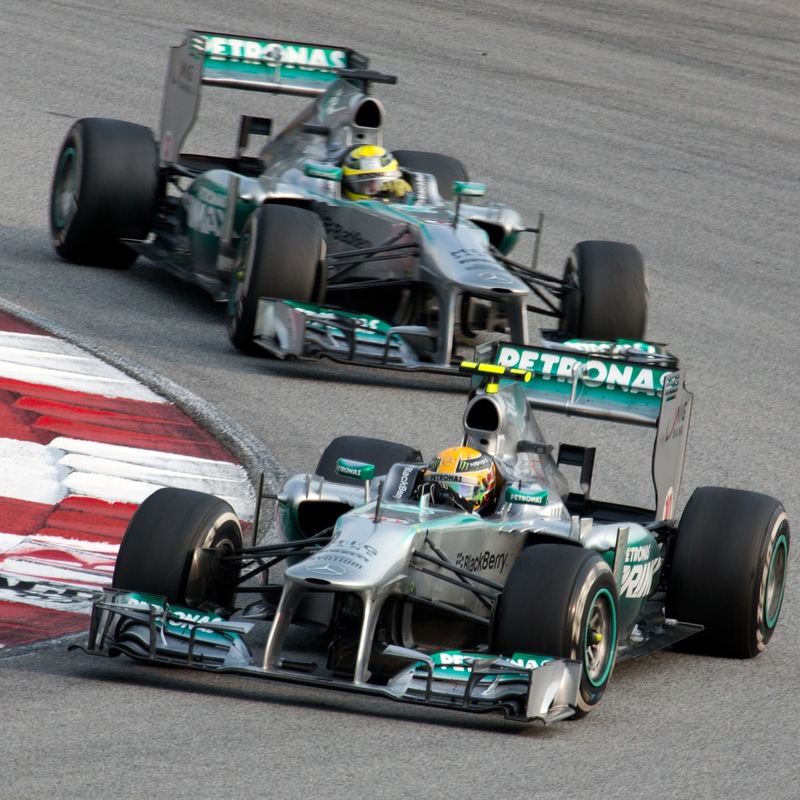 Plus both of its drivers tend to go well at this track, and of course the car at Monaco last year had a strong weekend particularly by its 2012 standards, Michael Schumacher setting the quickest qualifying time and Nico Rosberg finishing the race in a close second place. Yet equally it is not at all clear what their pace will be like in the race with their well-trodden problems with thermal degradation of the tyres over a stint, even with Monaco being less taxing on rubber than most tracks. But leapfrogging them will not be the work of a moment. Juan Pablo Montoya once opined that a F3000 car parachuted into pole position for the Monaco Grand Prix would win the race. Maybe this weekend his theory will in effect be put to the test. And with this near-impossibility of passing strategy becomes vital. But will Mercedes be tempted to stick it out at the front no matter how slow its cars get? And if so what can those behind do about it? 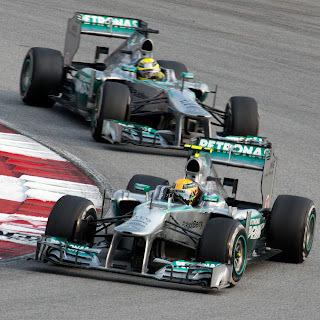 Will the Mercedes be leading the way? Last year at Monaco it was one-stoppers all round, though the race was something akin to trench warfare with all the sharp end contenders seemingly prioritising not ceding their position over going on the attack particularly (plus rain was a threat throughout, and no one wanted to pit for slicks only to immediately have to pit again for rain tyres). To continue the chief theme of 2013, tyres seem important this weekend. There will be lots of work done on Thursday in practice to see what sort of longevity can be got from the Pirellis, and for a one-stopper to work then it's likely you'll need to run for upwards of 25 laps on the supersofts as well as get upwards of 50 from the softs (remember the latter was good only for a few laps in China). Lotus, followed by Ferrari, will be the most probable to try this if it is possible. Pirelli has said however that a two-stopper is most likely, while in 2011 we had a three-way fight for the win between a one-stopper, a two-stopper and a three-stopper. We may see a similar divergence of opinion on Sunday, particularly with the Mercedes conundrum up ahead. But as always at Monaco those on the pit wall will need to be very light on their feet come the race: safety cars are frequent, while track position is vital and being stuck behind a slower car can end your chances at a stroke. There is also some rain forecast for race day, and if that comes to pass then all bets are off. It's not at all circumspect to say that working out where this Sunday's winner is coming from is not much more predictable than the spin of one of the roulette wheels in Monaco's casino. In the relatively recent past we also used to talk about Monaco specialists (such as Senna) and those who could be counted on not to do so well there (such as Piquet), but it's hard to pinpoint such things these days. Almost all of this year's most likely contenders have won a Monaco Grand Prix before: Alonso, Button, Vettel, Webber, Hamilton and Raikkonen all have a triumph or two on their respective CVs. Of other credible candidates, Rosberg, Massa and Perez can also point to good performances. So no help there either. And Monaco is often spoken of by engineers as the one round of the year which sits in isolation, and the learning from the weekend cannot be applied elsewhere to any great extent. But for all that we talk of Monaco's capacity to surprise, perhaps we talk about it too much. Senna won here six times, Schumacher five, Prost four, and for the last five years the car that won here also won the championship. In other words, while Monaco 'levels' to some degree, even at this venue a quick car is still a quick car (and a slow one still a slow one). Therefore, in the broadest sense, we shouldn't expect too much of a variation from the usual running order this weekend. In a town which rather revolves around games of chance, it seems that the outcome of this year's Monaco race is going to share many of the same characteristics. For more reasons than one, I'm glad I'm just going to be watching on.